I always try and have the coffee on by the time Emily gets back from work, but the other morning, I forgot. So I offered her a cold drink instead. She gave me a black eye. Then someone pointed out that she has more Facebook friends than I do and therefore I shouldn’t complain. Listen, Tom Baker was notoriously difficult in his final year, but I don’t think even he resorted to laying out the crew, even when Alan Bromly was directing. It’s not a question of putting up with the primadonnas because they bring in the coffers. It’s about having a chain of command. Clarkson’s not untouchable, nor should he be. This is the straw that broke the camel’s back, and the camel has had enough. This will cost the BBC millions and I’m sure they didn’t strangle their golden goose without careful consideration; if they’re guilty of anything it’s that they never trained it to stop pecking. And you know what? Just because you pay your license, you don’t get a say in how they run their organisation. Throwing in a hundred quid a year and then whinging about it in a hundred Daily Mail threads does not make you a shareholder, nor does it give you a democratic right to dictate policy. Clarkson attacked a man for thirty seconds because the hotel had stopped serving hot food, because he’d been in the pub for hours. That’s not a delicately balanced hardworking trouper who’s suffered great misfortune for his art. That’s the hallmark of an obnoxious bully who’s fired up by Dutch courage. Wars have probably been started over less. And as for those who complain about the Jimmy Savile parallels, I’ve never heard such an outrageously misplaced analogy. It’s not even worth telling them how stupid it is. I stopped reading the comments eventually. I’m not really a grammar snob – at least not online, where I’ve learned that it frequently doesn’t matter – but in this instance there really is a direct correlation between the ability of people to string a coherent and reasoned argument together and their ability to spell. “BOYCOT THE BEEB!” the Facebook comments scream in abusive capitals. 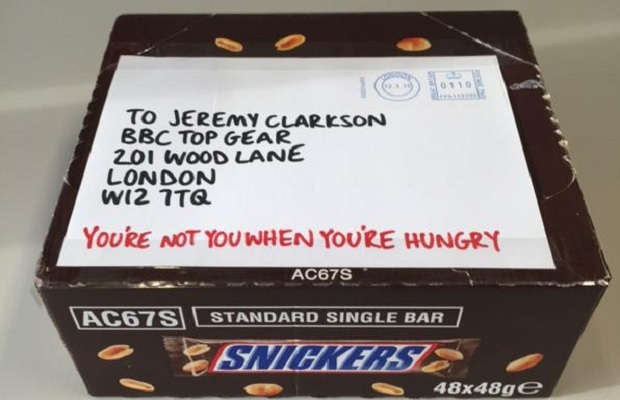 “BRING BACK CLARKSON NOW OR WE DONT PAY NO MORE!” You cannot get through to these people. They’ll see what they want to see, and read what they want to read. It’s like the Dwarves at the end of The Last Battle. You can’t always open the eyes of the ignorant and stupid, nor can you consistently educate the naive. So I have kept my distance. I don’t need the blood pressure. If anything, the whole incident proves that eating meat of any sort just leads to barbarism and that we’d be far better off switching to the sort of vegetarian tree-hugging lifestyle espoused by Clifford Jones in ‘The Green Death’. In many ways, this is a hard one to write. This is partly because I wrote about it comparatively recently, and there’s the challenge of keeping it fresh. But it’s also because there is so much in here to unpack; it’s like moving house and being surrounded by boxes, and not knowing where to start – so that, in the end, you do not. Where indeed do you start with what is quite possibly the most perfectly-constructed, moving and profound episode of Doctor Who since the show’s revival? Last week we discussed ‘Midnight‘, a dialogue-heavy episode that dealt with an unseen adversary. And just yesterday I wrote about ‘The God Complex‘, in which the monster was purposely distorted until the final reveal at the story’s climax. ‘Vincent and the Doctor’ employs a similar conceit, the murderous creature only becoming visible in the briefest of moments. If you’re working with CG, it’s a decent cost-saving initiative, provided you have a story to go in its place. The episode in this instance relies heavily on social commentary – but once it is clear that the social commentary is the key to the narrative, rather than merely a component, things start to make sense. In other words, the horror elements of the story serve as part of its emotional core, and thus ‘Vincent’ avoids the mistakes made by ‘Kill the Moon’, which was a halfhearted abortion debate dressed up as an Aliens clone – both things at once, and neither successful. What’s striking (if unsurprising) about ‘Vincent’ is how, given the comparative absence of the monster, the gaps are plugged elsewhere. Visual motifs of Van Gogh’s paintings are abundant, constructed carefully but by no means symmetrically, giving the impressionist eye room to work. The light from the reconstructed pavement cafe spills out into the evening, even before Vincent follows it. Shadows linger across the floor of the bedroom where the artist will eventually rest in torment. Crows take flight over a wheatfield. And, in one of the most striking moments, Amy sits outside the cottage in Arles, smiling from ear to ear even as her inner, repressed sadness gnaws away, surrounded by sunflowers, which Vincent himself describes as “always somewhere between living and dying”. But ultimately this is a character piece, and Curtis sensibly keeps the characters to a minimum. The scholarly Dr. Black (an uncredited Bill Nighy, on fine form) is the twenty-first century enlightened human, while Van Gogh’s peers are reduced somewhat to sneering stereotypes – but this is necessary, in a way, in order to portray the pain of the artist. And even this has its subtext. The dialogue is comparatively colloquial, and Vincent’s exeunt from the cafe instantly recognisable: what future Van Goghs, Curtis appears to suggest, have we chosen to ridicule and demean in 2010? Discourses on art aside, this is an episode about bipolar disorder, perhaps the only time the series has ever tackled such an area, and certainly the most direct. It would have been comparatively simple to take the sensationalist route, and Curtis deserves nothing but praise for managing to handle it without lapsing into the cliches that haunt some of his other work. This is one of the most sensitively observed depictions of clinical depression I’ve ever seen in a family show, and – despite the finale – one of the most satisfying. It’s interesting that Van Gogh’s mid-episode breakdown, in which he confines himself to bed and demands that the Doctor leave, is triggered not by a traumatic incident but by a single careless line of dialogue. It’s a testament to the power of words to inflict wounds, and a cutting reminder that even the best of us make mistakes. Had the words come from Capaldi, we would have put it down to his brusqueness. 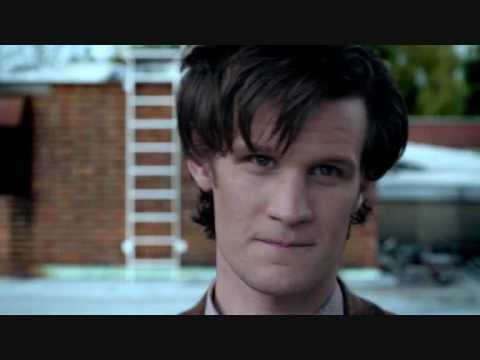 But the Eleventh Doctor, while remote, is still good with people even when they do not understand him (cf. ‘The Lodger’), and this knowledge somehow cuts a little deeper – even more so when he tries to comfort the artist, only to simply make things worse. But the Krayafis – orphaned and blind and fearful – itself becomes a metaphor, a testament both to the power of depression and those who do not understand it. As the three companions gather in silent homage over the creature’s unseen corpse, Van Gogh remarks “He was frightened, and he lashed out…like humans who lash out when they’re frightened”. Curtis fashions a monster that is both victim and antagonist, and as much a part of Vincent, in many ways, as his talent with a brush. It would have been comparatively simple to explain away the monster and, by turns, the artist’s mental state, with pseudoscience, but the writer does neither. There is a rational scientific explanation for the presence of the Krayafis – just as the rational scientific explanation for depression is a chemical imbalance – but this does not detract from its power to torment, or the fact that Vincent is the sole character who is fully aware of it. Most tellingly of all, the Doctor is not able to ‘cure’ Vincent – nor, it seems, does he particularly want to. His decision to give the artist such a concrete vision of his future seems, at first, more than a little out of character, until the final scene in the gallery where it is revealed that the revelation has made only cosmetic details to Vincent’s life, with his suicide (and eventual legacy) untouched. Amy (and, by turns, the audience) is forced to learn the hardest of lessons: that the differences we make do not always amount to more than the sum of their parts. Crucially, it is Van Gogh himself who foreshadows this, when he admits that “On my own, I fear I may not do as well”. Perhaps one of the nicest things about the episode is the reverence with which Amy and the Doctor greet Van Gogh, without ever lapsing into sycophancy. Even in the final, rather overstated gallery sequence, they’re content to allow Bill Nighy to do the talking. There is none of the giggling of Rose’s encounter with Queen Victoria, or the name-dropping in Donna’s meeting with Agatha Christie. Indeed, for a Curtis script it’s comparatively light on humour, which is perhaps sensible. Smith blunders in and out of the situation with customary Doctorishness (is that a word? It should be a word), making all the usual mistakes that people make when they don’t know how to talk to people with depression. 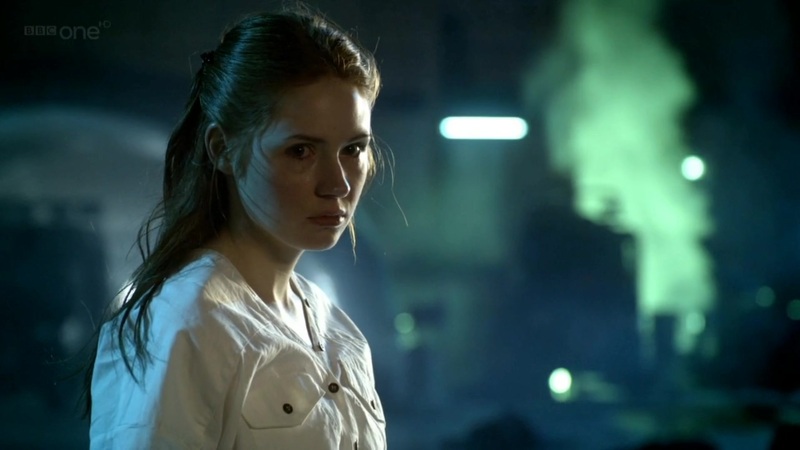 Gillan is sensitive and radiant, although it’s Amy’s inner, unspoken turmoil in this first post-Rory episode – an unspoken sense of grief, without knowing why – that enables her to handle Vincent as well as she does. I’m sure I’ve said it before, but the fact that ‘Vincent and the Doctor’ manages to tackle such heavy subject matter and escape with its dignity intact is a credit to absolutely everyone concerned. It’s a credit to the designers and production team, who visualised nineteenth century France so vividly. It’s a credit to Richard Curtis – and Steven Moffat, who knew how to fashion and evolve his ideas into a script that delivers. 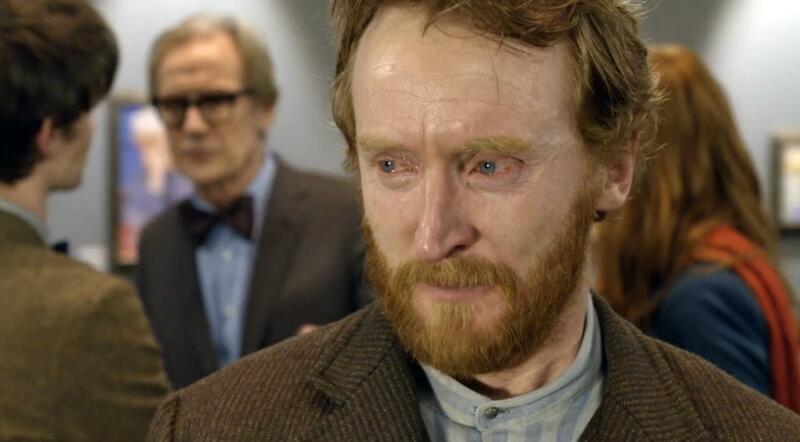 Perhaps most of all, it’s a credit to the series regulars, and also Tony Curran, whose portrayal of Vincent is breathtaking. It’s an episode that paints the stark sadness of loneliness and juxtaposes it with the brilliance of inspired creativity – as Dr. Black says, “Pain is easy to portray, but to use your passion and pain to portray the ecstasy and joy and magnificence of our world…no one had ever done it before. Perhaps no one ever will again.” ‘Vincent and the Doctor’ is a reminder that the world is more wondrous than we could possibly hope to imagine – but most of all, it’s a reminder of exactly what it means to be human. It’s my favourite episode since 2005, and I love it. Doctor Who has always been about corridors. If you have a TV programme in which the chase is a recurring motif, then enclosed spaces are the way to go, particularly when you can then use the same constructed length of space again, shot from a different angle, and pretend it’s another part of the building. A chair here, a wall sign there, and the illusion is more or less intact. And if it isn’t, who cares? Corridors are a big part of this episode, although they don’t exist in a vacuum. They’re the conduit to dealing with your fears. This isn’t like any hotel, where the other rooms – and their occupants – are tantalisingly sealed. In this place, you’re actively encouraged to open up the doors until you find the one that happens to contain that childhood book with the horrible pictures, or the playground bully who abused you, or (if you’re a Time Lord) a large crack in the wall. The first time we get wind of this, it’s because of a gorilla. Yesterday I mentioned bananas, so it only seems fit to stretch the imagery a little further. The gorilla is enough to terrify a poor policewoman out of her wits and, in the process, unleash a fearsome (but unseen) adversary. She dies with a curious smile on her lips, and the psychological extent of this creature on the human mind is at least partially revealed, even if the creature itself is not. The gorilla vanishes. It’s an electrifying moment, and rather than being one of those wonderful scenes in an average episode (see ‘Listen‘) it sets the tone. There are many things to admire in ‘The God Complex’, but its biggest joy, as it turns out, is the direction. Nick Hurran has long since been a safe pair of hands, his ability to tease out a shot managing to enliven even ‘Asylum of the Daleks’, but his work here is frankly exemplary. The monster reveal shots in the hotel rooms are a jarring mixture of fast and slow. Jump cuts are abundant. The minotaur stalks the hotel accompanied by lurid lighting and grotesque, Hammond-driven muzak. Crucially, the first time we even come close to seeing it properly, it is through a glass darkly. It is a trick that would have dramatically improved ‘Mummy on the Orient Express‘. None of this would matter if the narrative didn’t go anywhere – even the best directors can’t polish a turd – but Toby Whithouse delivers. Whithouse has never been the most consistent of Who writers, but ‘The God Complex’ is packed with ominous dread, cranking up the tension as the characters gradually succumb to the Minotaur. 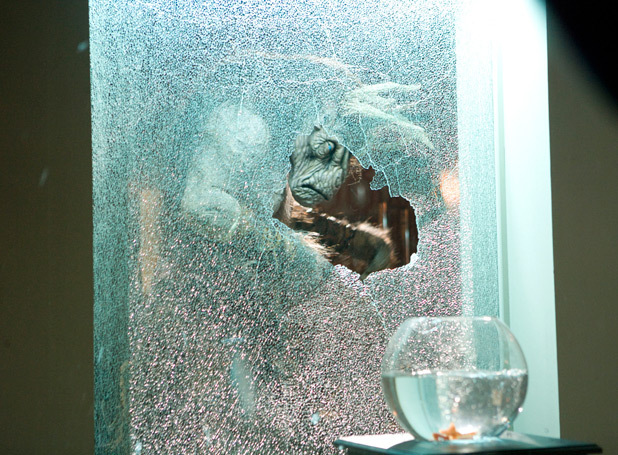 The story is a cross between Alien and the last three chapters of 1984, taking its stylistic cues from The Shining, and there are only so many ways you can make that interesting, but Whithouse does this by introducing a smorgasbord of characters who all react in different ways – from David Walliam’s devious Gibbis (the physical resemblance to a rat cannot be a coincidence) to Amara Karan’s Rita, a strong contender for the greatest Doctor Who companion who never was. Rita is calm and logical without being soulless and it’s a shame, in a way, that her death sentence is sealed before it actually happens, when she agrees to go with the Doctor after the story is concluded – which, unless you’ve already been in all the publicity shoots, is the metaphorical equivalent of sleeping with Jack Bauer. Curiously, ‘The God Complex’ becomes – in its last ten minutes – something else entirely, by using one of the central relationship dynamics as a means to entrap the monster. 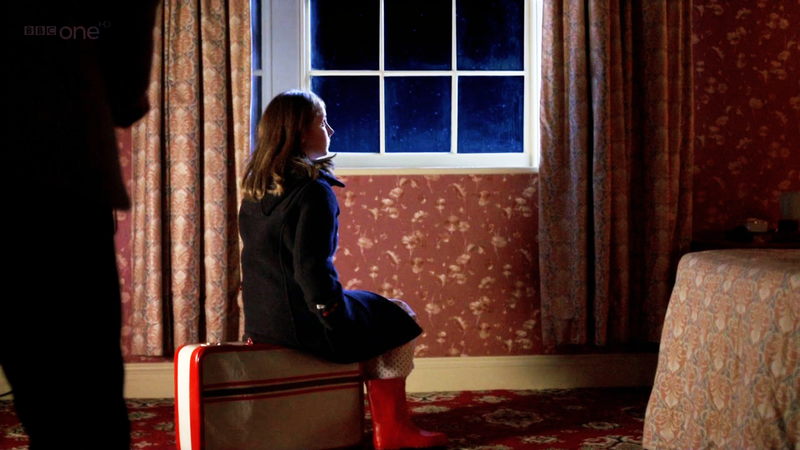 There are no elephants within any of the hotel’s rooms, but there is one in the TARDIS – and the Doctor ultimately deals with it by forcibly breaking Amy’s faith in him so that she can concentrate on her marriage. It’s a gamble that doesn’t quite work, as ‘Asylum of the Daleks’ proved, and it’s a shame that this later story leaves such a nasty taste in the mouth when ‘The God Complex’ states so explicitly that Amy is relying too much upon the Doctor, and even more of a shame that in the end she can only make the choice when – at the end of ‘The Angels Take Manhattan’ – her hand is forced. Still, that’s all to come. Back in the hotel, the Doctor solves the riddle, confronts the Minotaur and gives it the release it so desperately desires. 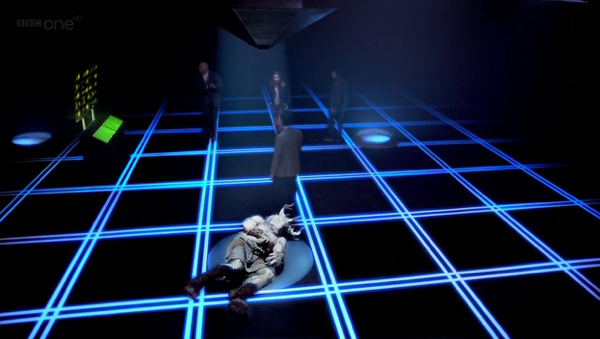 It’s an unexpectedly touching scene – the dissolution of the hotel’s walls, revealing the holodeck behind it, is a metaphor for the Doctor’s psychological digging, with the Minotaur’s request for death a direct parallel with the series arc. I’d normally find this painful, but in an episode in which deaths necessarily occur off camera, it’s something of a catharsis, irrespective of the wider ramifications. 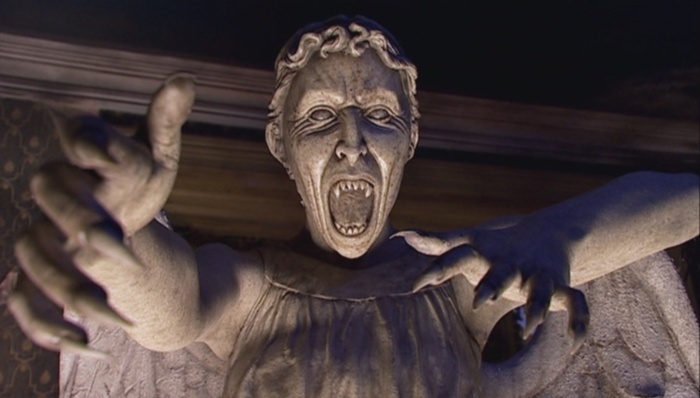 If the finale feels tacked on – a scene Whithouse was asked to insert in light of sequencing – then he gets away with it by keeping it relatively understated, at least by New Who standards. So there you have it: an episode that’s almost as close to perfect as it’s possible to get. I used to do a lot of recruiting, and the most painful part of the job was delivering bad news to an unsuccessful job candidate, particularly when it was someone you liked. Constructive feedback was the order of the day, but sometimes you struggled to find a valid reason why you’d had to turn someone down, because on any other day you’d hire them in an instant. It’s just that there happened to be someone better. And I suppose there’s no really good reason why ‘The God Complex’ shouldn’t be at the top of my list, because I can’t find a single reason to dislike it. It’s just that there happens to be one better. God, he looks young. 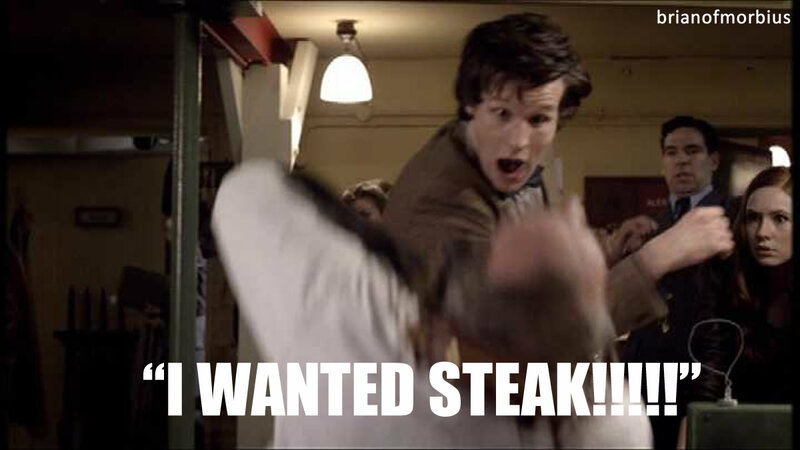 I mean, the Eleventh Doctor always did. That was the main hook; this youthful, spritely thing, this man who simultaneously carried buckets of energy and centuries of experience. Women wanted to shag him. He would careen about the TARDIS like one of the stars of Swan Lake. He was an extremely physical Doctor, for all the verbal diarrhoea – certainly more physical than either of his immediate predecessors, and perhaps on a par with Pertwee. The karate was gone, but the dancing was a welcome substitute. I know a number of Cambridge graduates, and it strikes me that there’s always been something quite Eleventh Doctor about most of them. They are brilliant and clever and (mostly) fun to be with, but at the same time you get the feeling that they are on a different level to the rest of us, one we’ll never quite reach. There is something almost unassailable about them. Oh, they don’t talk down to you. I never felt as if I was being patronised or ridiculed. But I always got the feeling I was in the presence of extremely clever people. They didn’t bask in their cleverness, but neither did they hide it under a bushel. 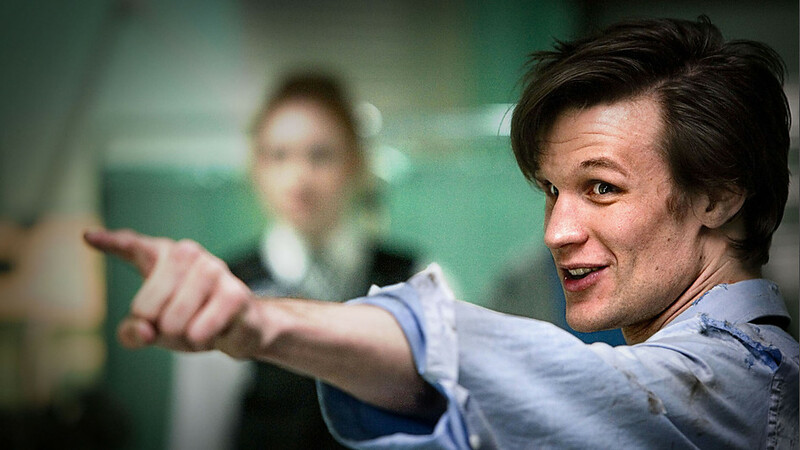 I got that vibe about the Eleventh Doctor from the moment we saw him. There’s an immediate sense of detachment that you never felt with Tennant, who was always giving whatever was happening his full concentration. The moment in ‘The Hungry Earth’ where Elliott wanders off, neglected by a distracted Doctor, would never have happened on Tennant’s watch. He always seemed so focused. Smith’s Doctor, on the other hand, always seemed to have other things on his mind, as if constantly trying to consolidate Fermat’s last theorem, or remember where he left his passport. This was Moffat’s first episode in charge, and it shows. Stylistically it is bold and innovative, from the Blade Runner-esque fast rewind through the Doctor’s memory as he struggles to remember what he saw on the green, through the fast cutting that would become a staple of this series, up to the moment he penetrates the fourth wall on the hospital roof. Adam Smith directs with flair, and Murray Gold introduces a whole string of new motifs. 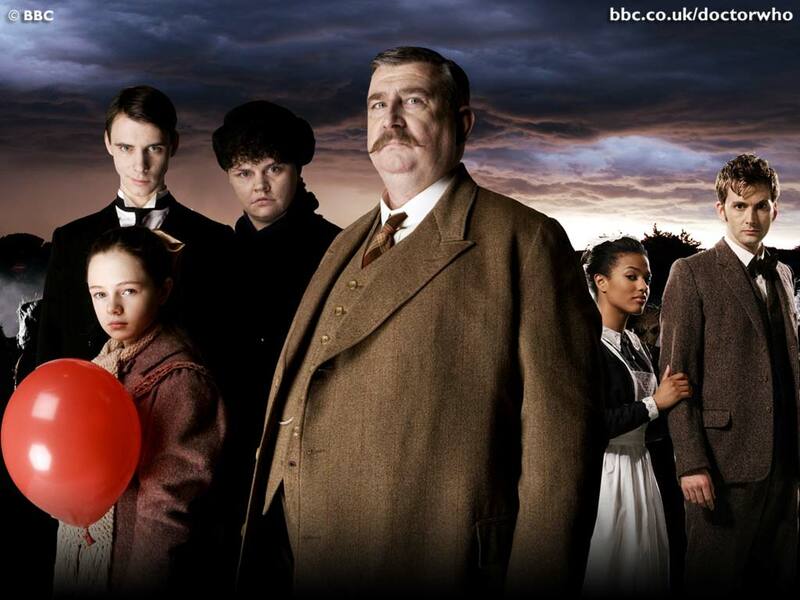 Moffat cleverly introduces the village of Leadworth (Ambridge to the Powell Estate’s Albert Square) and a whole host of supporting characters, most of whom we don’t see again, simply because this is all about the Doctor and Amy. 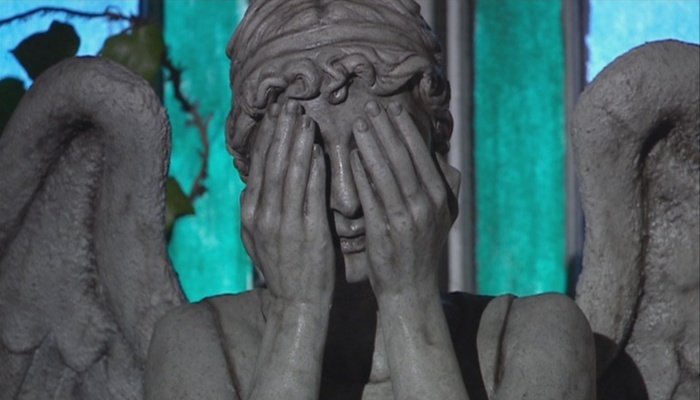 The episode spawned a host of catchphrases, and is arguably most notorious for the fish custard scene – an amusing joke that, like the Weeping Angels, should only ever have been employed once, and suffered with every repeat appearance. 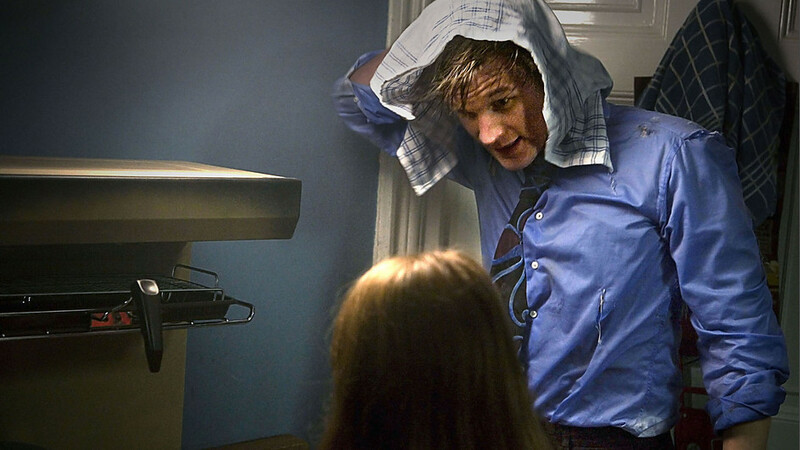 But in this scene, in which the Doctor is basically playing Tigger, it’s quite wonderful. 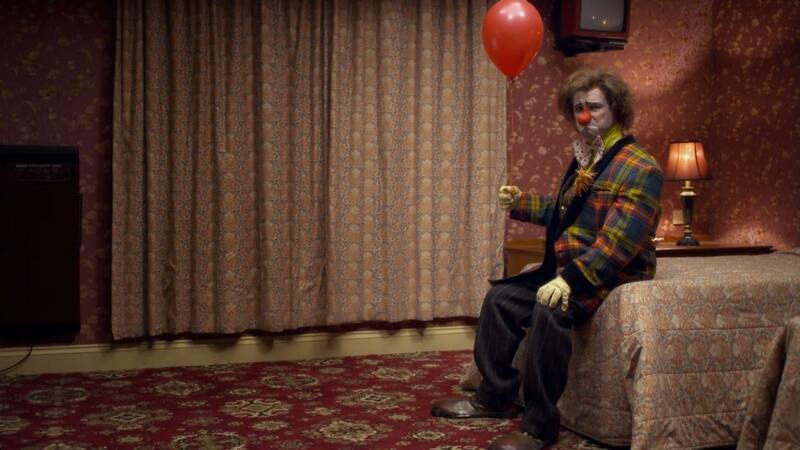 Post-regeneration fallout hasn’t been this ridiculous since 1974, and while Smith stops short of the clown outfit, he is still just as manic, at least until he examines the crack in the bedroom wall. It took us nearly four years to get to the bottom of that crack, and it would be lovely to say that it was worth the effort – but this was one of the few times when its appearance didn’t grate, and for that would should be grateful pleased. If the shapeshifting monster is slightly second-rate, and the Atraxi not much better, the cast more than make up for it. Darvill infuses Rory with a genial, bumbling personality that would harden later on under the Doctor’s influence, while Gillan is a vulnerable, damaged Amy, all suspicious eyes and panic – her sense of bewildered trust / mistrust is a recurring theme throughout, and the moment in the closing scenes in which she becomes overwhelmed inside the TARDIS is genuinely brilliant acting. Supporting turns from the likes of Olivia “I’m in everything!” Coleman and Annette Crosbie add flavour, but never get in the way of Smith, who is never less than compelling in every single one of his scenes. 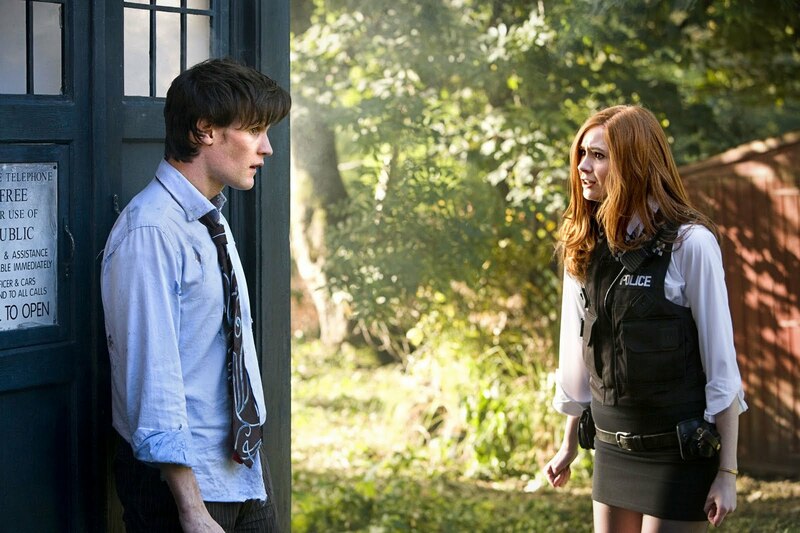 I don’t want to be too hyperbolic about ‘The Eleventh Hour’, because that would imply that it was a plateau. And as great as it was, things got even better – as we’ll see over the next few days – before they slumped. But this was that rare beast, a post-regeneration story that was not only good (and they’re few and far between, if you actually look at the list) but really good. 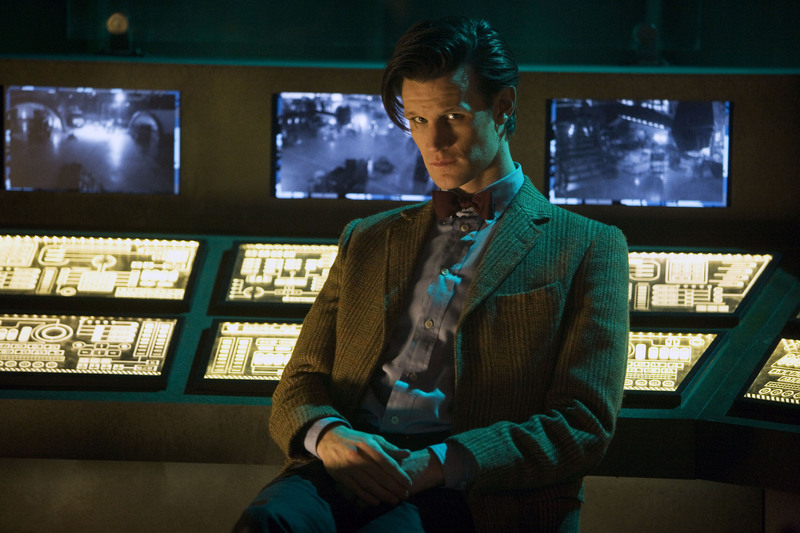 From the Doctor’s first, gasping crawl over the edge of the wrecked TARDIS, desperately seeking fruit, to the moment when he informs Amy that yes, he is definitely a madman with a box, this is an episode that amuses, delights and dazzles in all the best ways. It’s not the best episode ever, or even the best Smith episode ever. But it’s a hell of an opener. I have a problem today. In the first instance, I don’t know that there’s a lot more I can say about this episode that I didn’t cover in the review I did back in 2013. I wrote reams. I wonder if we might have exhausted the list of available topics. But I can’t leave this blank, so we’ll try. And if we fail, we’ll fail at doing the wrong thing, as opposed to – oh, you can see what I’m doing there. I once read a musicology volume in which the author decried the concept of summer novelty records, likening them to holiday romances. It was one thing, he surmised, dancing to the strains of ‘Agadoo’ or the bloody Macarena in an open air Spanish nightclub ten yards from the beach, the floor a pulsing melee of sweat and energy and the Margaritas flowing like a river. But when you hear the same record on a wet November afternoon in a nail salon in the middle of Slough, it’s the metaphorical equivalent of seeing that bikini-clad beauty you pulled in the Seychelles slouching round a supermarket in jogging trousers and a filthy t-shirt accompanied by a screaming child. It kind of takes a lot of the romance out of the situation. There was always a chance that we were too forgiving with this episode. It was the peak of a year of celebration – retrospectives, revisitations and reinvention. 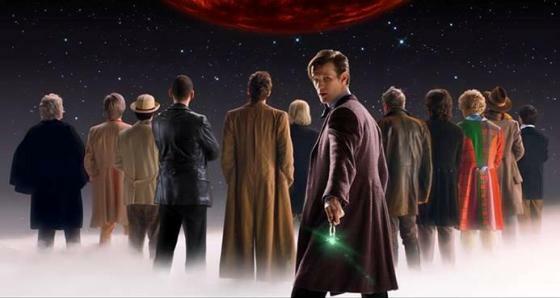 Old Doctors were given new contexts, new Doctors reconciled their pasts, and one Doctor we didn’t even know existed appeared from nowhere (or at least one of Steven Moffat’s production meetings). And it didn’t stop with the characters. If ‘The Name of the Doctor’ was a game-changer, the anniversary story consolidated things by taking everything we thought we knew about eight years of history and rewriting the ending. Simultaneously, the Ninth Doctor is off the hook, because he doesn’t remember any of it. The darkness of the Eccleston series is thus intact, but it becomes more about the memory of events, rather than the events themselves. Or, as the War Doctor puts it, “How many worlds has that regret saved?”. At other times, the rewriting would be annoying. When it happened in ‘The Name of the Doctor’ it was annoying. When it happened in ‘Listen’ it was downright insulting. But somehow, in ‘Day of the Doctor’, it works. Perhaps it’s because the twist, while smacking of the clever-cleverness that is endemic throughout much of Moffat’s revisionism, is one that at least concentrates on the last decade of the show, rather than trying to change everything that happened before. Somehow that’s more agreeable. 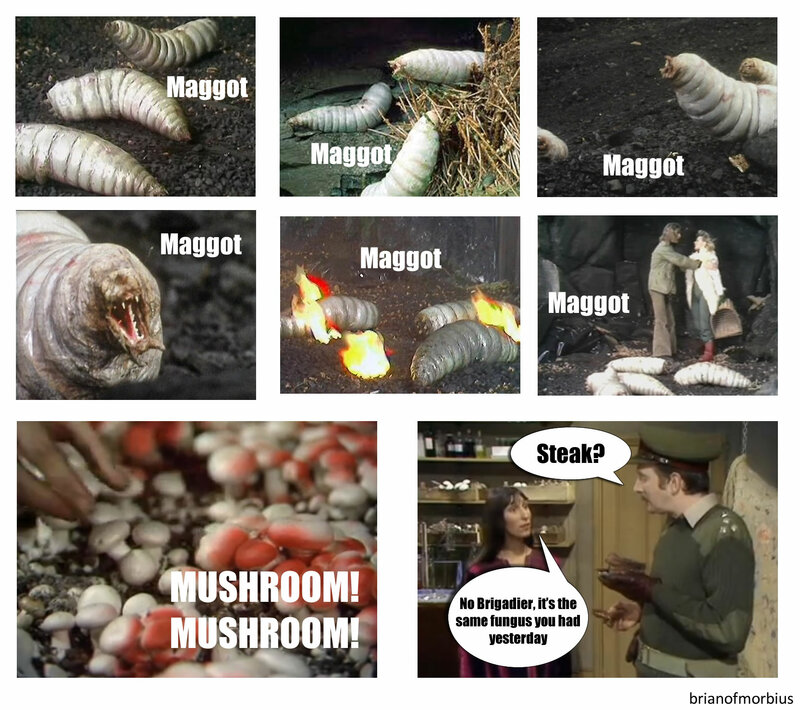 There are two stories here that are basically about one story, the Zygons’ gambit seemingly incongruous when compared to the War Doctor’s inner struggle, until the nuclear stalemate becomes a metaphor for the Time War, and the alien technology that allows for the Zygon invasion in the first place becomes its unlikely solution. But it’s not all about structure. There is a whole lot to love in ‘Day of the Doctor’. Production values are slick (the opening sequence has Smith dangling from the edge of the TARDIS as it is airlifted into Central London) but not at the expense of story. Tellingly, Moffat knows when to rein it in, keeping the action primarily Earth-bound – at least for the first hour or so – and only really branching out in the climactic final act. What follows is a consistency and unity that gives the narrative room to breathe without having to over-reach itself in order to cram in another set piece. Crucially, this is a story that doesn’t try to do much – in many ways, dare we say it, a story that actually doesn’t do very much at all. There are plenty of lengthy conversations between the three Doctors, which is precisely the sort of interplay that’s lacking in, say, ‘The Two Doctors’. Supporting characters get breathing space, if not an awful lot of development. It’s not exactly vintage Pertwee, but next to the breakneck pace to which we’ve become accustomed, it’s a refreshing change. Then there’s Hurt himself, trailblazing across the screen with all the charisma and personality we’d expect from such an established veteran. Hurt’s gone on record as saying he didn’t have a clue what he was actually doing, but somehow that doesn’t matter at all. He conjures a side to the Doctor that is both new and instantly recognisable, the grumpiness of an embittered old soldier fused with the upstanding morality of a righteous man. 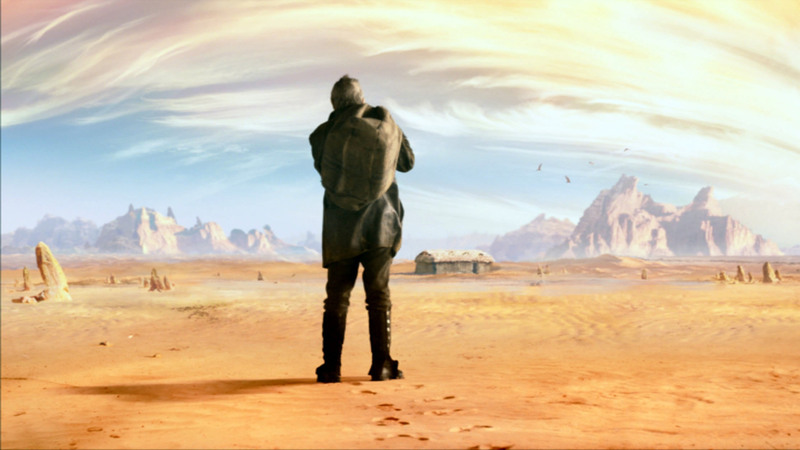 Somewhere there is a universe full of stories about the War Doctor, except that most of them will be set on Gallifrey, and most of them will be thoroughly miserable. Perhaps you should be careful what you wish for. Earlier in this piece I mentioned novelty records. You can’t polish a turd, but you can give a mediocre gift some temporary sheen by putting it in a nice box. That was the risk. But I watched ‘Day of the Doctor’ again a while back – free of the trappings of the fifty year celebrations, free of the fanfares and the parties and the general sense of wonder. I watched it when I was feeling particularly jaded, and it’s still good. 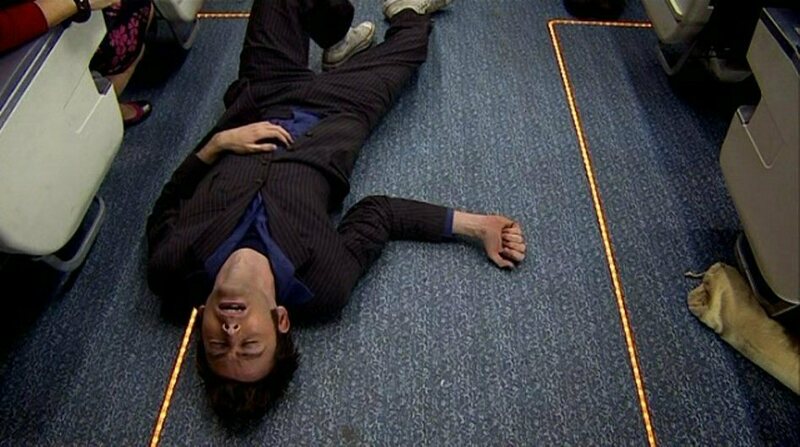 When the Doctor walks through the TARDIS in slow motion at the end of the story, admitting that yes, of course he dreams, we are tempted to dream with him. The cardboard cutouts are still laughable, but what ‘Day of the Doctor’ achieves in fifty years is a loving testament to an established TV legend, that touches on its roots while avoiding the suffocating fog of unnecessary nostalgia. And it has Tom Baker. Really, what more could you want in seventy-five minutes? Welcome to screenwriting 101. Today’s tip: don’t be afraid to screw with your protagonist once in a while. They’re supposed to be dependable and consistent (up to a point, anyway) but history shows that if you want to spice up a dull TV show, an easy way to do it is to give your lead character a beard and have him kill people. It gets the fanzines / office conversation / internet buzzing. Anyone can do a parallel universe story; that’s easy. But stories where protagonists are playing against type are award magnets, for writers and actors alike. ‘Human Nature’ takes its cue from the Paul Cornell novel of the same name, in which the Seventh Doctor becomes human in order to forge an emotional connection with a grieving Bernice Summerfield. He takes up residence in a boys’ school shortly before the Great War. Fagging and flogging are abundant. 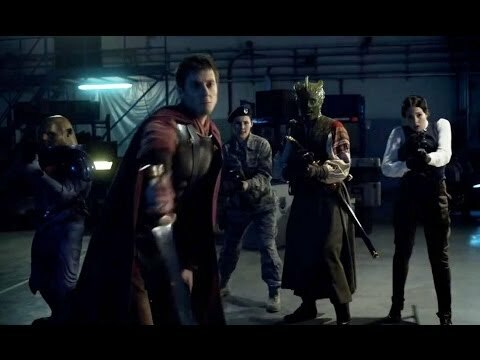 A group of shapeshifting aliens (possessed humans in the TV adaptation) arrive in order to wreak havoc, but complicating things is the fact that the humanised Doctor has fallen in love. 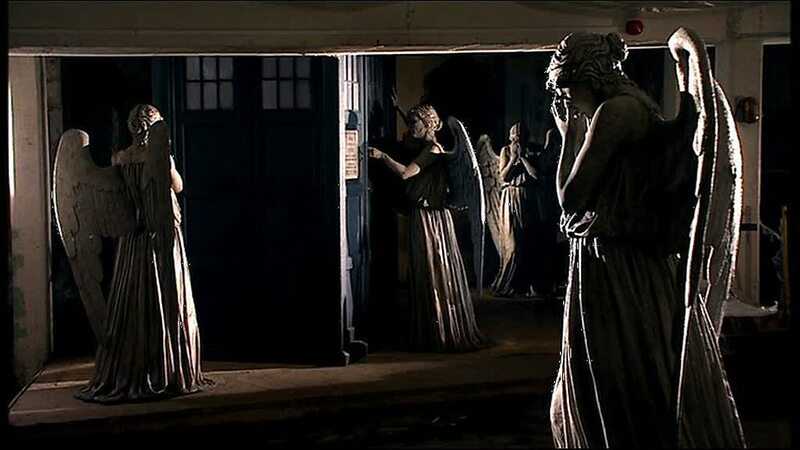 Crucially, the TV version sees the Doctor actively retreating from the Family of Blood in its opening moments, establishing a symbiotic relationship between the two parties that plays out rather like a surreal witness protection programme. The central tenet of the Doctor’s amnesia and parallel life echoes both Total Recall and, indeed, a storyline in a later series of Miami Vice in which Sonny Crockett genuinely believed himself to be his drug-dealing alter ego; similarly here, John Smith is registered as a separate entity who experiences death when he opens the fob watch. His past is murky (when Joan asks him if Gallifrey is in Ireland, he says “Yes, it must be”) but his consciousness makes him real, and makes his ultimate sacrifice all the more poignant. This story is basically an opportunity for Tennant to do a Mr. Chips, except Smith doesn’t live long enough to collapse on his classroom floor. Indeed, we’re given hints that the marriage would have ended after many long and happy years, in the form of a fleeting set of images that show Smith and Joan tying the knot and raising a family. It borders on mawkish, but the fact that this is a facet of the Doctor himself lends the moment a degree of pathos it would otherwise be denied. Indeed, Tennant is astonishing throughout the entire two-parter, adopting an entirely new body language when under the guise of Smith, and managing a genuine chemistry with the equally compelling Jessica Hynes. But while it’s Smith’s story, it’s the Doctor who pronounces judgement, in a closing montage – wordless, save Harry Lloyd’s voiceover – in which the fury of the Time Lord is finally unleashed. Some people hate it. I don’t. 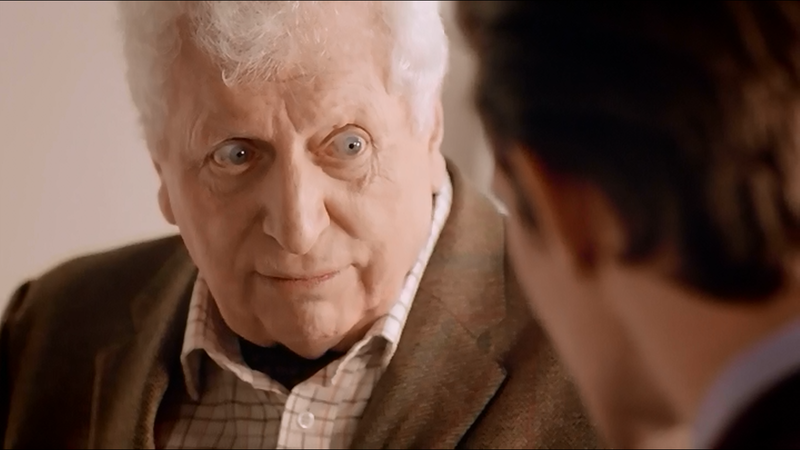 There is something awful about the sight of a Doctor pushed beyond the limits of his patience; something grand and terrible and infinitely more believable, in the final analysis, than what we would see two years later in ‘Waters of Mars’. The idea that you should be careful what you wish for is borne out in a series of dreadful, fate-worse-than-death punishments, plus a nice little aside from Cornell about mirrors – “If ever you look at your reflection and see something move behind you, just for a second, that’s her. That’s always her”. For an episode that has had a real world grounding for over eighty minutes of its runtime, it’s a startling contrast, but it works. Elsewhere: the period detail is decently realised, Murray Gold’s score is (for a change) warm and moving, and the supporting cast – particularly Lloyd – are uniformly excellent. Basically, this is a story that gets more or less everything right – that it isn’t placed higher probably isn’t fair, but I’m constructing this list partly on a whim, and I suspect that in a different week the order might have been quite different (put another way, the closer you get to the top, the smaller the gaps between episodes become). It’s a story that exposes the futility of war without ever really pronouncing judgement upon it: when Martha assures Timothy Latimer that “you don’t have to fight”, his response is simply “I think we do”. At the same time it is a bittersweet love story that works precisely because of its anachronisms. About the only off thing in it is the ever-irritating Martha, but you can’t have everything. Despite my enthusiasm for Donna, I’m glad she’s not here for this one. 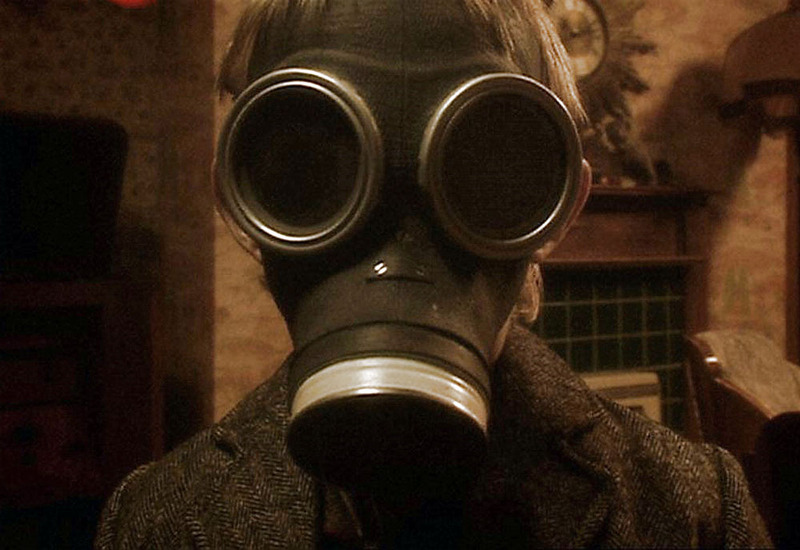 It is a story that purposely isolates the Doctor, and the absence of a companion works in its favour. The episode is mostly a one-set affair: a small, self-contained shuttle that the cast are not allowed to leave, because the outside will kill them, which is all well and good until something finds its way in. There is a strong sense of claustrophobia that echoes Night of the Living Dead, although thematically there are nods to Alien and, in particular, a Next Generation episode called ‘Darmok’, in which a simple language barrier almost start a war. It’s the sort of story that could only would have worked with Picard; I suspect Kirk would have just blasted the crap out of them and put his shirt back on. The fact that ‘Midnight’ echoes these themes is in itself unremarkable, but that this results in such a catastrophic loss of control for the central character is the episode’s key strength. Classic Who had a certain sense of formula about it, in that stories would routinely see the Doctor and his companion(s) land somewhere just as a body turns up, become falsely accused of murder / subterfuge / industrial espionage and then imprisoned. If Davies introduced the psychic paper as a counterpoint, we had surely, by this stage, gone too far the other way, and the ability of Tennant in particular to swan into any situation and command the attention of the entire room was becoming irritating. ‘Midnight’ strips this away to its core by having a group of passengers who ask all the questions we’ve been secretly hoping would be asked all these years and refuse to accept the answers they’re given, not only mistrusting the Doctor but actively planning his assassination just a couple of minutes from the end. It’s theorised that the alien’s influence extends beyond its possession of Mrs Silvestry, and that it is somehow able to affect mood and plant suggestions. Personally, I choose to believe that’s not really the case. Because ultimately, as a concept, ‘Midnight’ speaks to all of us – and that’s what makes its placement within a Whovian context so striking. The simple setting, strong sense of character development and dialogue-heavy script (more on that in a moment, but suffice to say that this episode may contain more talking than any other episode of Doctor Who in the show’s history) mean that it would be ideally suited for a stage adaptation: indeed, I’m told that they’ve actually done this, removing all references to the Doctor and allowing it to stand alone as a tale of intrigue, suspicion and paranoia. 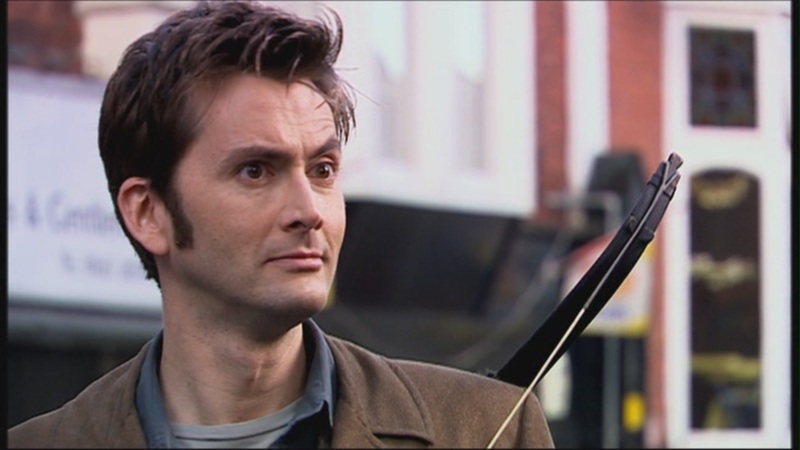 Nonetheless, portraying it as a Tenth Doctor story – particularly a relatively late one, when Tennant is well into his stride – is a clever stunt. 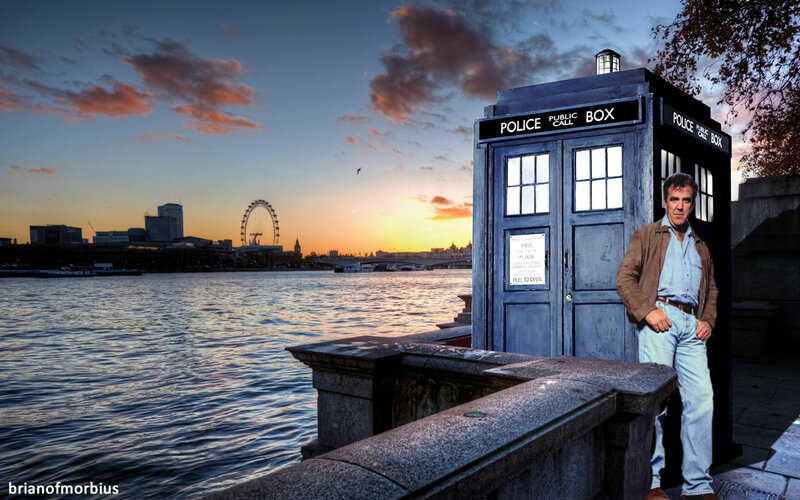 The following year, the Doctor would crash-land on a desert planet with a bunch of Londoners, and spend the rest of the episode inexplicably trying to get back home to meet Lee Evans. 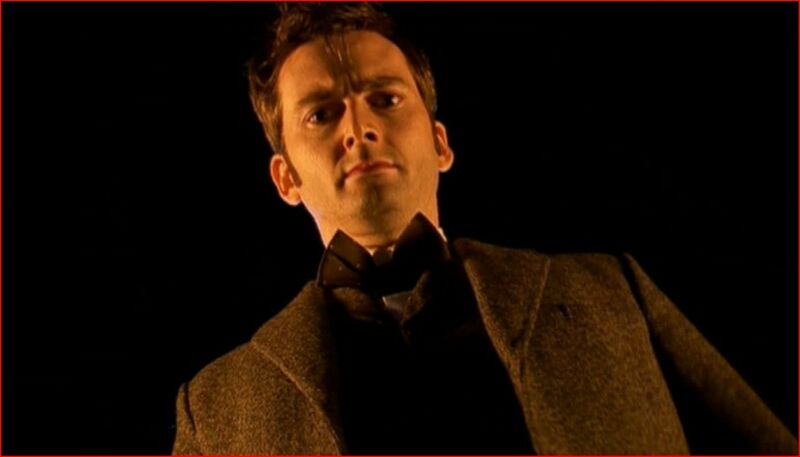 ‘Planet of the Dead’, whatever Russell T Davies tells you about it being “the last time the Doctor gets to have any fun”, is not exactly Tennant’s finest hour. But watch it back to back with this one, if you can bear it. You’ll see what I mean. There is a lot of chatter. But there’s more to it than that: dialogue ceases to be a way of communicating information and becomes a writer’s plaything, a tool to be exploited. It’s standard practice in literary circles, but it’s a rare joy when it happens in the likes of Who. The whole episode is about the creature learning language, and Davies does this by having characters repeat lines and then say them in absolute synchronicity, in a series of exchanges that annoyed many but which I found quite dazzling. There is strong support from the likes of Colin Morgan, as the sulky but intelligent Jethro (his look of despair as the Doctor is about to be thrown out is quite wonderful), as well as David Troughton as Professor Hobbes and Lindsey Coulson as the thoroughly unlikeable Val. 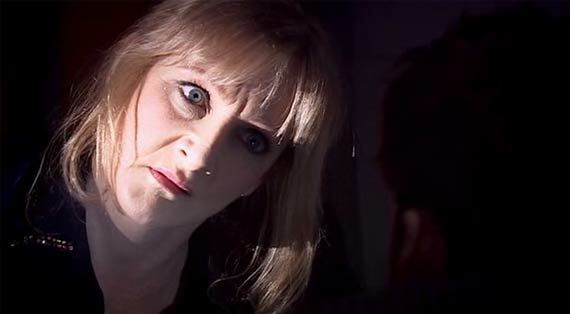 Special mention also goes to Lesley Sharp, who is frankly a revelation – fragile and damaged for reasons unknown, and then utterly consumed by evil, with the facial tics and head movements perhaps the only thing even more breathtaking than her capacity for dialogue. 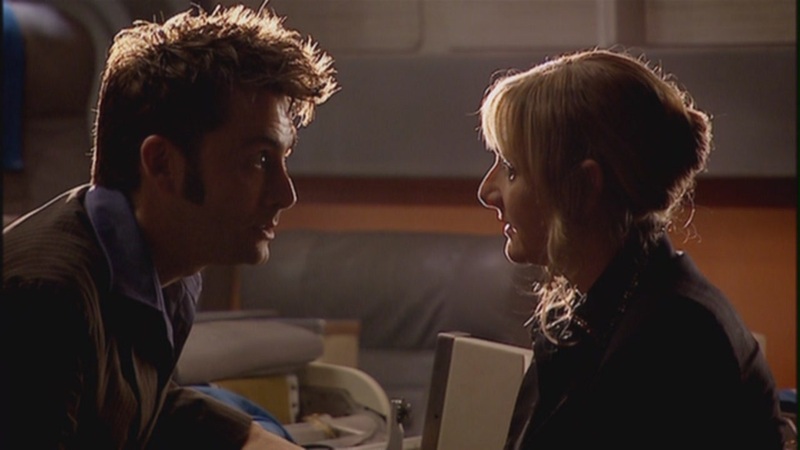 But it’s Tennant’s story – and the exhausted, quite ‘different’ Doctor who emerges at the end of the episode, greeting Donna with a silent embrace, is unexpectedly moving. The humility doesn’t last, of course. But while it does, it’s wonderful.